← Welcome to The Irish Sea Sessions 2013! Pauline Scanlon hails from Dingle, Co. Kerry. She has one of the most distinctive and effortless voices the country has ever produced, as we heard in last year’s Irish Sea Sessions. Pauline is also part of the duo Lumiere, along with fellow West Kerry chanteuse Éilís Kennedy, who are signed to Sony Records in Ireland. Lumiere offer a distinctly feminine sound and feel, where voice is the primary instrument. They released their second album, My Dearest Dear, in March this year. Emily Portman was born in Glastonbury but is now a proud resident of Liverpool! 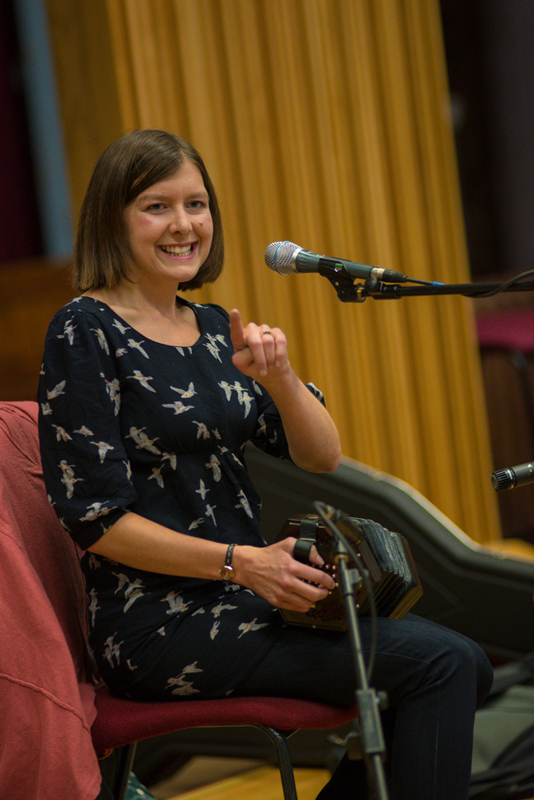 Emily is a singer, writer and concertina player hailed ‘one of the new British folk scene’s most beguiling presences’ Uncut. She won a BBC Folk award for Best Contemporary Song this year with the title track of her album ‘Hatchling,’ described as ‘Marvellous’ (The Observer) ‘Eerily magnificent’ (fRoots) and ‘One of the year’s most distinctive folk releases’ (Songlines). With her debut album ‘The Glamoury’ also gaining her two BBC Folk Award nominations, Emily is fast gaining a reputation for her ‘remarkable and original’ songwriting (The Observer). Inspired by the darker underbelly of folklore and balladry, Emily weaves together enthralling harmony-rich narratives. Not only has her music propelled Emily onto the front cover of fRoots, she has received widespread international radio-play and tours the UK extensively, recently supporting The Be Good Tanyas in a sell-out tour. 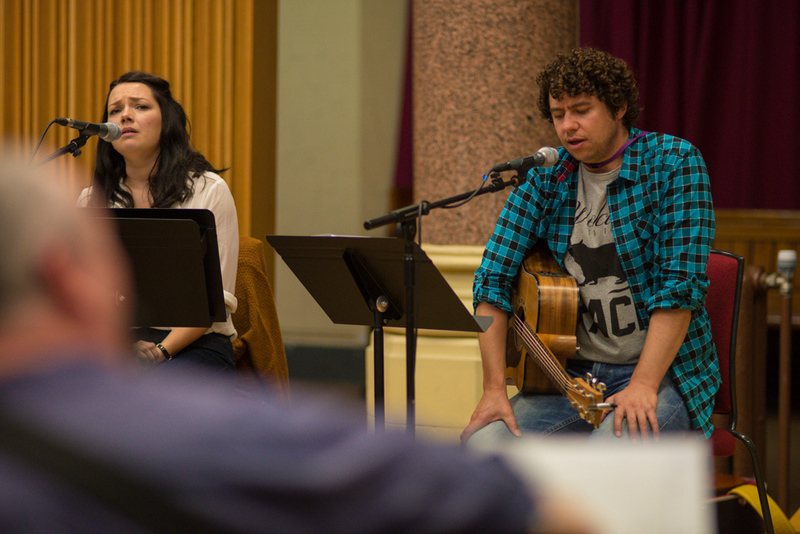 Declan O’Rourke was a latecomer to the Dublin singer-songwriter scene. But, in his mid-twenties, within months of discovering Dublin’s bustling songwriter open-mic circuit, the incredible singer and songwriter found himself in the mix with the likes of Paddy Casey, Gemma Hayes, Damian Rice … Now, the list of artists who are self-declared O’Rourke fans includes Paul Weller, who said ‘He writes the sort of classic songs that people don’t write anymore, songs that sound like they’ve been around forever […] Listen to Galileo, which is possibly the greatest song written in the last 30 years.’ In fact ‘Galileo (Someone Like You),’ his debut single, has been covered by numerous artists including Josh Groban, and performed by Paul Weller and Chris Rea. He has toured with Paulo Nutini, Snow Patrol, Teddy Thompson, The Cardigans, Badly Drawn Boy, Divine Comedy and Paul Brady. In 2011, Declan joined a stellar line up of artists that included Alison Krauss, Jerry Douglas and Amos Lee for Transatlantic Sessions Series 5, broadcast on the BBC2, BBC4 and RTE1. Robert Vincent is a searingly honest Liverpool singer-songwriter whose mix of folk, rock and country hint at a Mersey Van Morrison. Rob’s songs are compassionate and perceptive. There’s a wild evocation of the fact that every life is lived in the eye of a storm, yet they are delicate and soothing too. Pete Smith, Grammy award winning producer, helped to record ‘Life In Easy Steps,’ Rob’s debut solo album which was released in January this year. The result is a set of songs that are alternately open and empathic, and raw and righteous– all held together by a singular lyrical vision and a voice that can soothe, comfort or tear down a wall. Mojo magazine describes his sound as ‘Gravel washed Richard Hawley vocals’. In a sea of plastic pop, this is real rock and roll. Neil Campbell is a composer, multi-instrumentalist, free improviser, singer songwriter, systems music composer, band leader and virtuoso guitar soloist who has been involved in the free improvisation and acoustic scenes in Liverpool since 1998. Through his academic studies he developed an approach to music making based around musical systems or processes which run automatically without ‘composerly’ intervention and much of this music has received airplay on BBC Radio 3′s Late Junction. 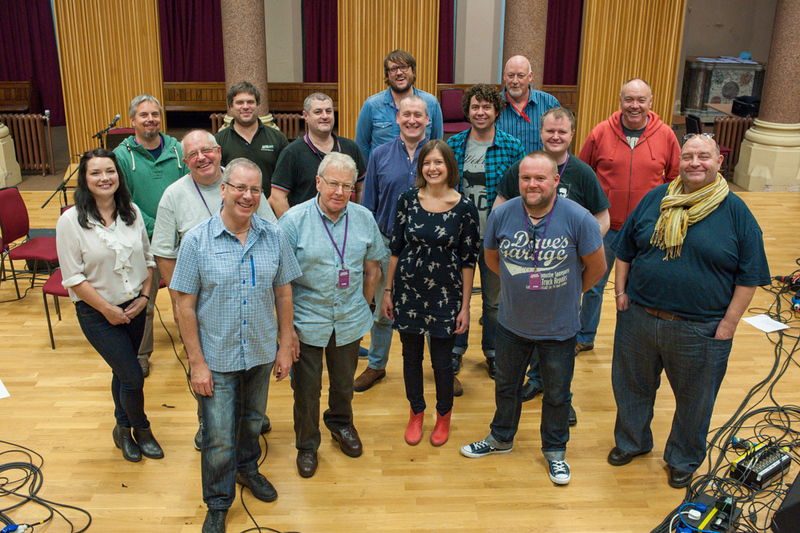 Neil is also the man behind the music programme at the Capstone Theatre, including Liverpool Jazz Festival. Neil has produced two CDs of solo guitar music ‘Through the Looking Glass’ (Mayfield 2003) and ‘Night Sketches’ (2004) and a book of Music for Solo Guitar. The Coyne Brothers – Eamon Coyne, Mick Coyne, and Terry Clarke-Coyne come together to perform for the first time since 2008! 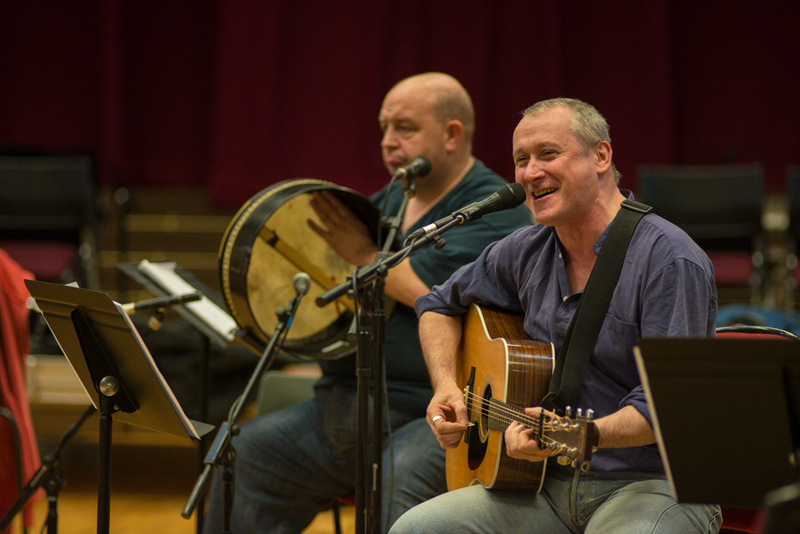 Born in Liverpool, the Coynes are an eminent Liverpool Irish musical family. Their father, Eamon Coyne Sr, came to Liverpool from Co. Roscommon at the end of World War II, and became a fiddle player with the great Liverpool Ceili Band of the 1950s and 60s alongside Sean McNamara. He was instrumental in setting up the Liverpool Irish Centre at 127 Mount Pleasant, teaching the music and dance to a new generation, including his three sons: Mick, Eamon Jr and Terry. The old Museum of Liverpool Life held a display on the Coyne family’s role in the City’s music, including Eamon Sr’s fiddle and Terry’s first flute. An award winning concert flute and whistle player Terry Clarke-Coyne is the one brother who has remained living close to Liverpool, as a professional musician, music and dance tutor, and a teacher of design and engineering. Terry has toured the world playing with Garva, the great singer Niamh Parsons, and with guitarist Philip Masure, and has appeared in all the Irish Sea Sessions projects to date. Mick Coyne is a gifted uilleann piper and singer. He is a highly skilled piper who emulates the extremely tight (staccato) playing of his former mentor Andy Conroy. He plays traditional dance tunes through to his own compositions and released a solo album Both Sides of the Coyne in 2001. Although he was brought up in Liverpool with his brothers learning their craft, initially, at the Liverpool Irish Centre, Mick now lives in Ennis, Co. Clare. Eamon Coyne is known for his unique fiddle style and is a noted composer of melodies and tunes which are played by many of today’s traditional performers. He has performed for the King and Queen of Spain, the President of Ireland along with many other dignitaries. Eamon’s solo CD Liverpool Connections was released in 2003 at the Ennis Traditional Festival in County Clare Ireland and received rave reviews. He currently lives in the US and plays regularly; he has recently been a major part of Irish festivals in Boston, Washington DC, New York, Florida, Cape Cod, Massachusetts, and Toronto and Montreal. Sean Regan is recognized as one of the finest fiddle players in Ireland today. Born in Manchester he first became known as a member, with Michael McGoldrick, of the beloved band Toss the Feathers when he was 19. In 2003 Sean moved to Ireland where he has recorded and appeared on stage with many of the country’s great artists including, Damien Dempsey, Sharon Shannon, Sean and Dolores Keane, Grada, Tim O’Brien, Sinead O’Connor, Tulsk, The High Kings: the list goes on. 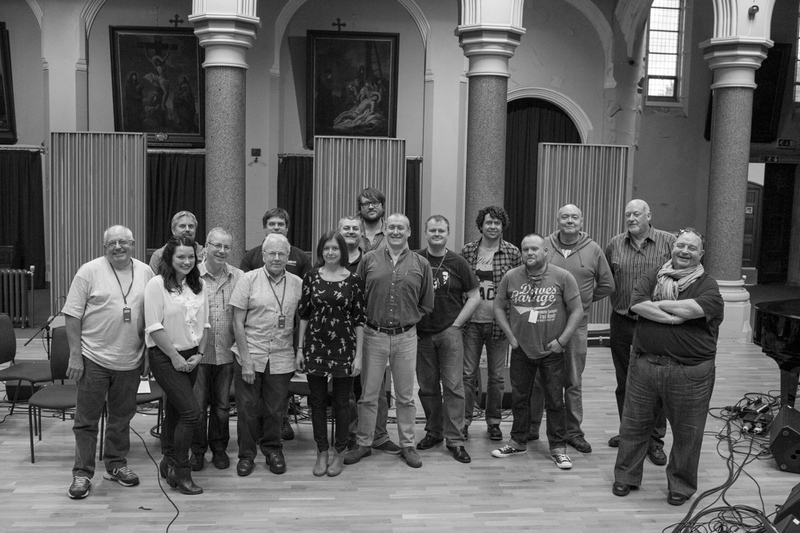 Bernard O’Neill is music director for the Irish Sea Sessions: the team captain! Bernard has had an extensive career as composer, MD, double bassist, bass guitar player, producer and cellist. 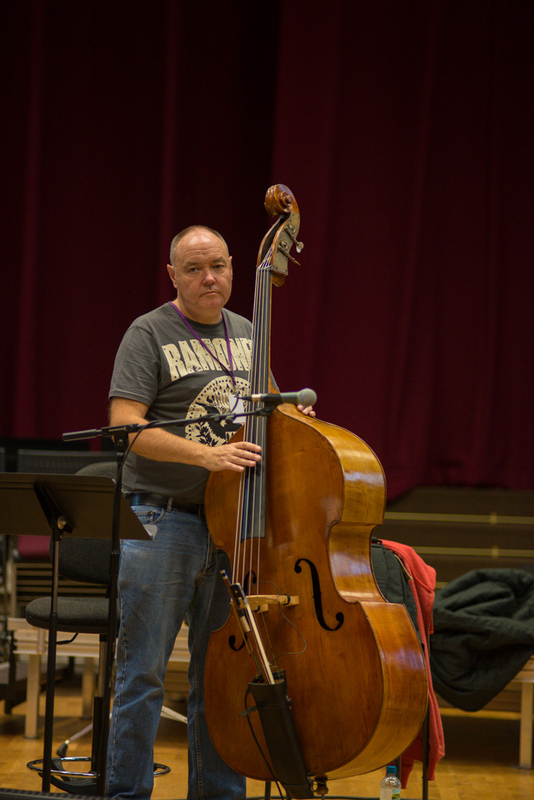 He has recorded over 200 albums and appeared as a double bass session player on over 1000 album tracks for such artists as Sinead O’Connor, Natacha Atlas, Victor Manuel, Jeff Buckley, Mono, Rufus Wainwright, Dub Collosus, Andrew Cronshaw, Little Axe and many more. In 2009 he signed, along with Dubulah and Abdullah Chhadeh, to RealWorld Records in the SYRIANA project, the brilliant cinematic Arabic/electronic fusion band. The subsequent album The Road to Damascus was a critical success. Bernard appears courtesy of RealWorld. Alan Burke is one of the finest ballad singers of his generation. Born in London to Irish parents and originally a rock drummer, Alan made his name in traditional circles as the lead singer, guitarist and bodhrán player with Afterhours in the 80s and 90s. Alan has lived in Belfast and is now settled back in Dublin. He has become a fluent Gaelic speaker, with an almost inexhaustible repertoire of songs and a driving guitar technique. His powerful style has seen him feature with numerous bands including Tulsk, At First Light, and the Afterhours Bothy Band Tribute project. Gino Lupari is ‘the king of the bodhrán,’ the frontman of Four Men and a Dog, and was a huge success as a presenter on Fleadh Live TV this summer in Derry. As a percussionist and vocalist he has recorded and performed with Sinead Ó’Connor and ShaneMcGowan and the Popes, and appeared in the BBC drama The Passion. He has featured in all four years of The Irish Sea Session project so far. A man of enormous charisma, if he weren’t such a fine musician he’d undoubtedly be a comedian! David Munnelly is the Irish button accordion wizard behind The David Munnelly Band. The second you hear the ebb and flow of the music that emanates from David’s accordion, you will be instantly convinced that this man was born with a button box in his hands. Hailing from Belmullet, a small town by the sea in Co. Mayo, Ireland, David has carried the strong musical tradition from his home and family across the world. He has toured and performed with The Chieftains and De Danaan. He received the Composer of the Year Award consecutively in 2004 and 2005. 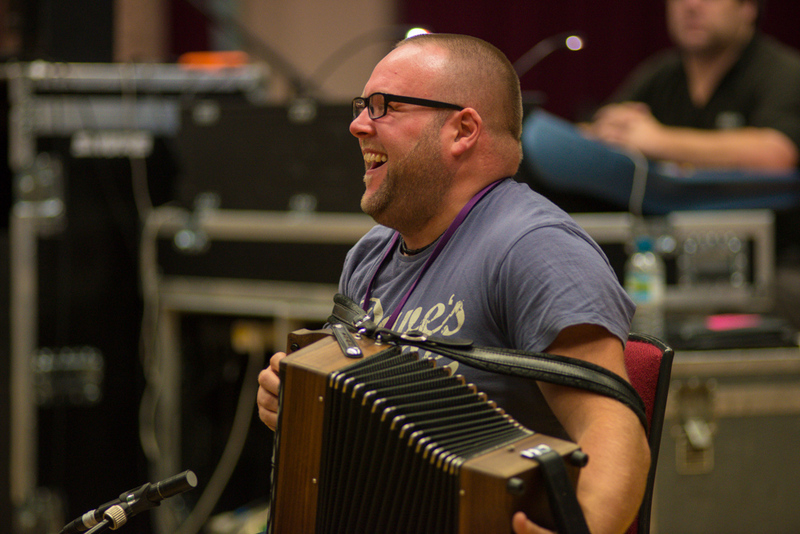 Along with the most respected accordion players in Europe, David currently performs with the award-winning, five-squeezebox-band Accordion Samurai, whose debut CD has won numerous high-profile awards. He is currently working on a project that will highlight his own compositions due out in early 2014. Bernard O’Neill, Gino Lupari, Alan Burke, Sean Regan & Dave Munnelly are all now also members of The Rambling Boys of Pleasure, a band which has grown out of The Irish Sea Sessions, with Sean being the only member making his ISS debut this year.